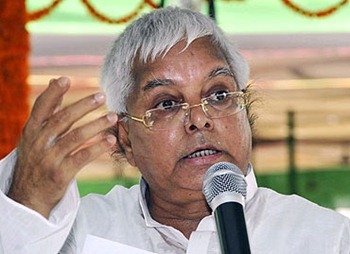 The Fodder Scam was a corruption scandal that involved the alleged embezzlement of about 950 crore (US$211.85 million) from the government treasury of the eastern Indian state of Bihar. The alleged theft spanned many years, was engaged in by many Bihar state government administrative and elected officials across multiple administrations (run by opposing political parties), and involved the fabrication of "vast herds of fictitious livestock" for which fodder, medicines and animal husbandry equipment was supposedly procured. Although the scandal broke in 1996, the theft had been in progress, and increasing in size, for over two decades. Besides its magnitude and the duration for which it was said to have existed, the scam was and continues to be covered in Indian media due to the extensive nexus between tenured bureaucrats, elected politicians and businesspeople that it revealed, and as an example of the mafia raj that has penetrated several state-run economic sectors in the country. When the Rs 950-crore fodder scam was unearthed during unified Bihar in 1996, the CBI had to set up a special wing for dealing with the animal husbandry department scam headed by a SP-ranked officer. Around 20 truckloads of documents were seized from different officers during investigation of fodder scam. Since it broke into public light, the fodder scam has become symbolic of bureaucratic corruption and the criminalization of politics in India generally, and in Bihar in particular. In the Indian parliament, it was cited as an important indicator of the deep inroads made by mafia raj in the politics and economics of the country.